This is a book about the depth of a daughter's love, and the breadth of a mother's life; it is about letting go, but never forgetting...A photographer's love letter to her late mother, whose five year struggle with Alzheimer's and devout passion for couture clothing inspired this poignant and moving photo essay which sparkles with the memories of her mother's glamorous and fashionable life. In My Mother's Clothes, photographer Jeannette Montgomery Barron creates a poignant and enduring portrait of her late mother through still life images of her cherished clothing, shoes, and personal possessions. As her mother's struggle with Alzheimer's progressed, robbing her of any remembered past, Montgomery Barron began this unique visual album as a way of both sparking her mother's memories, and coping with her own sense of loss. 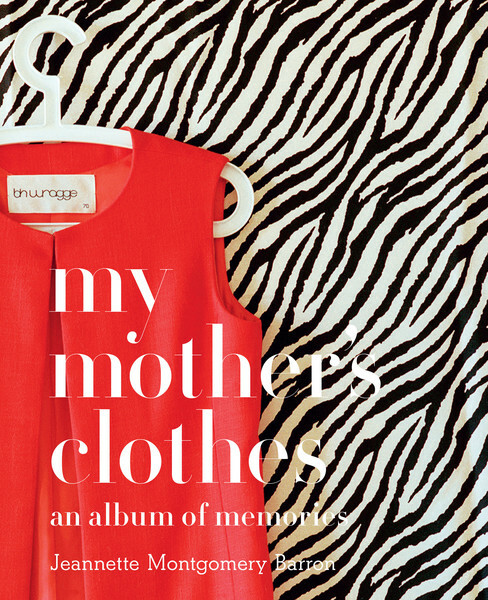 Poetic, riveting, elegant, My Mother's Clothes is part fashion diary, part personal memoir, part loving memorial, and part life celebration. An inspiring and intimate true story told in picture and word that will be cherished by mothers and daughters, by fashion lovers and photography fans, by those grieving the loss of a loved one or anyone suffering from or affected by Alzheimer's.